Assisting a client in choosing the best business structure is a challenging task that requires a combination of skills and knowledge. There is much riding on your ability as a tax professional to help entrepreneurs or existing business select the "perfect form." Not only will this decision affect their ability to achieve their specific business objectives, it will also determine how well their assets are protected. Later, you will read about a small business owner, Deborah Williams, who receives insufficient help from her first accountant when incorporating her small computer business. It cost her dearly before she finally consulted a different tax professional, someone more knowledgeable in this arena. This course is designed to provide you with the information you need to be of similar value to your clients. In particular, it focuses on the tax advantages and disadvantages of S & C Corporations, LLCs, LLPs and Sole Proprietorships. 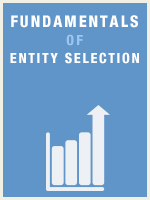 It will target and explore many of the major factors that drive the initial decision of entity selection, as well as special circumstances that arise during the course of doing business.